Truong Sa is new elegant demo of WooVina Theme. 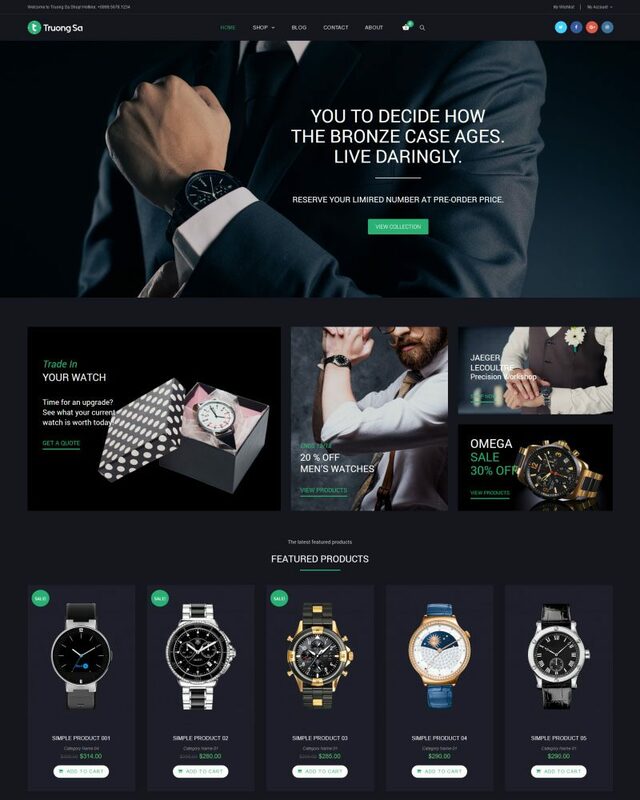 It’s a premium quality WooCommerce WordPress theme specially designed for an online jewelry store, watch store, watch/jewelry repair shop, custom jewelry services or any other eCommerce site. Some of the eCommerce features you can make use of on your site with Truong Sa include product quick views, color swatches, an AJAX powered shopping cart, and much more. The Elementor plugin is on hand to help you enhance your website with ease.